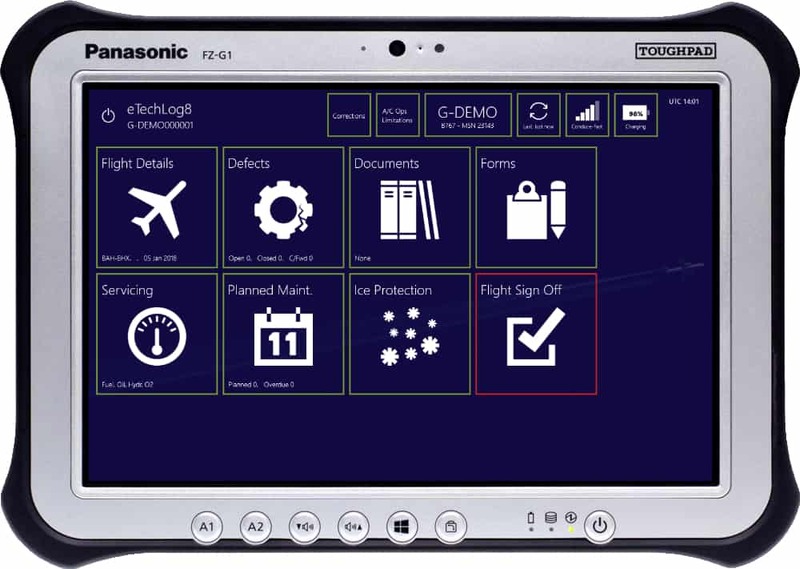 eTechLog8, a Windows 10 touch-screen application, fully eliminates the aircraft paper technical log. Conduce Group provides mobile aviation solutions to airlines across the world. With a suite of apps that streamline various parts of the aircraft maintenance process, aviation companies gain a real-time view of fleet technical data. Specific to this case study is Conduce Group’s eTechLog8 application, a mobile solution that replaces the aircraft paper technical log. The application captures aircraft, flight and technical data which is used by Maintenance and Flight Operations for monitoring. A tech log page (TLP) must be completed for every flight as a legal record of the aircraft’s technical status and journey. 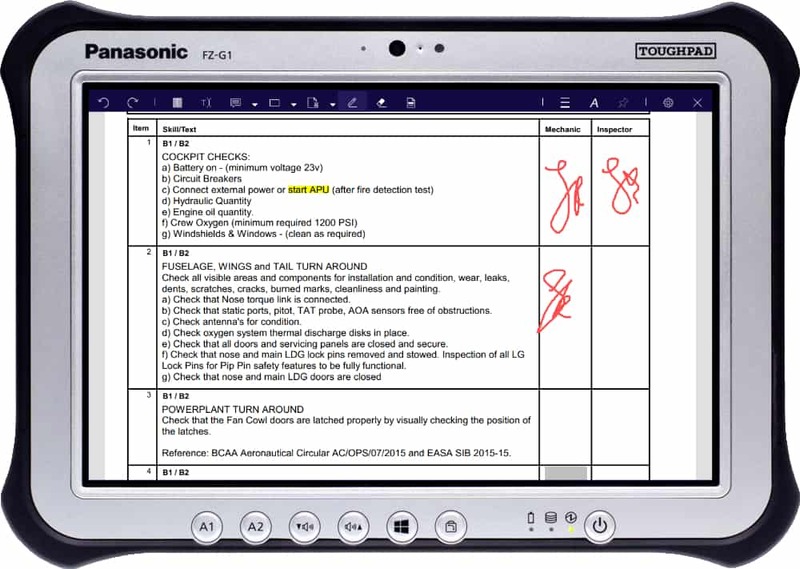 Using Foxit’s PDF SDK for UWP, Conduce’s customers read the rules and regulations needed to carry out maintenance checks whilst also annotating and signing PDF documents using their device stylus. This provides a significant increase in the quality of technical data, and greatly reduces the delay in getting it back to base for analysis and future planning. Windows 10 native apps are relatively new when you look at the history of mobile applications, especially when you take into account the length of time that Android and iOS apps have been in the marketplace. However, Panasonic ToughPads (durable tablets now ubiquitous in the aviation industry) run on the latest Windows 10 operating system, leveraging the UWP. The application works offline, saving data on the ToughPad which is mirrored on an SD card for resiliency. At various parts of the TechLog cycle the data is synchronised to the cloud. If no internet connection is available the information is printed so that the latest aircraft technical data is available on the ground at all times. Modern airlines rely on a large number of different systems working cohesively to operate safely and efficiently. Conduce’s solution integrates with many different aviation systems, providing them with valuable, accurate data captured out in the field. Through the use of the PDF SDK for UWP, Conduce Group creates PDF documents that, once annotated and signed, can be viewed by someone on a different device in high-quality. This helps Maintenance and Flight Operations teams spot potential issues early on and action them straight away, streamlining everyday processes and operations. Get in touch with us below to find out more about Conduce Group’s success.